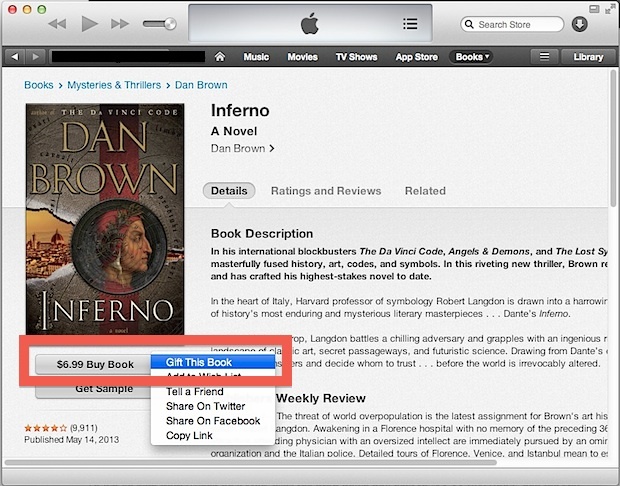 You can send digital books as gifts directly from the iTunes app and it’s included iBook Store on any desktop Mac or PC. Having long been able to send apps and movies, music, and movies as gifts, giving books is a recent addition. Just like the other gifting options, you can even order a book or some other media for someone now, but schedule a delivery for any given date. This is super easy and a great way to buy and send gifts without having to worry about wrapping, shipping, or having to brave the insanity that is holiday mall shopping. 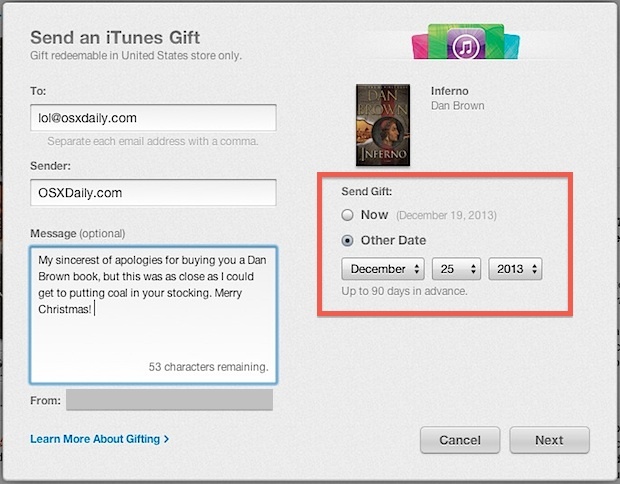 The recipient gets a themed email which is used to redeem the gifted book into their iTunes account. Because the book is offered through iBooks, the gift recipient will need the iBooks app on their iPhone, iPad, iPod touch, or Mac to read it. For what it’s worth, this process is almost identical to sending out a gifted movie, tv show, album, or app too, so if who you are shopping for isn’t a big reader buy something else to suit their preferences. Heads up to CultofMac for the reminder about this one, Apple made the change right in time for (some of) the holidays!